From the phone interview to offering you the internship, Vanguard is committed to place you in an area where you will thrive. One of the first things you do as an intern is take the Strengths Finder 2.0 program to help you better understand your strengths and how you can leverage them in your career. From there, you sit with your manager one-on-one and discuss your interests and brainstorm what you would like your focus to be for the internship. “Let’s grab coffee” is encouraged at Vanguard and serves as a way for crew to engage with one another and find potential career interests outside of their own department. This is made easier by senior leaders’ willingness to meet with interns and share their unique perspectives on Vanguard and their particular roles. They understand what it is like to be in your shoes and make it a priority to get to know you. 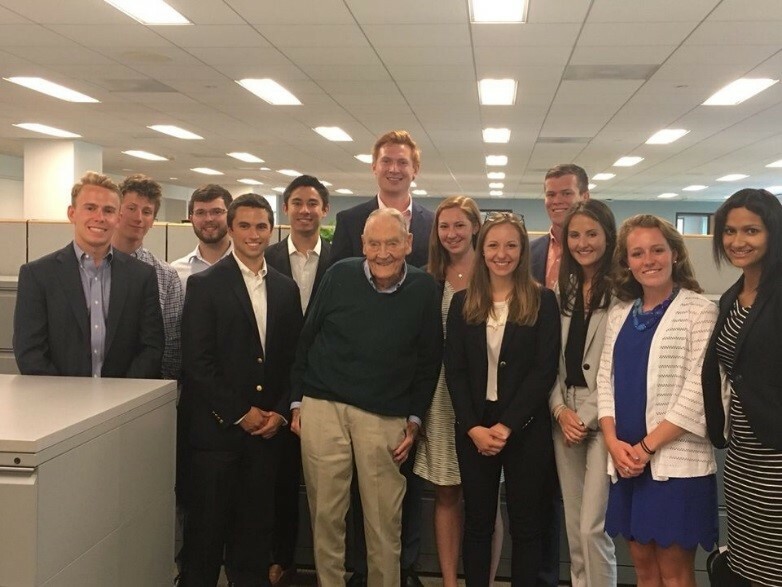 Even John Bogle, the founder of Vanguard, can be found meeting with us! As an intern at Vanguard, you will quickly realize that you are surrounded by a group of incredibly talented individuals, much like yourself. You will also realize how diverse these individuals are – studying disciplines from economics to computer engineering to political science and hailing from all around the country. Vanguard makes it a point to harness this diversity and create community amongst the interns by hosting trips into the city of Philadelphia, competitive sack racing events and weekly lunch-ins with the entire cadre of 90+ interns!